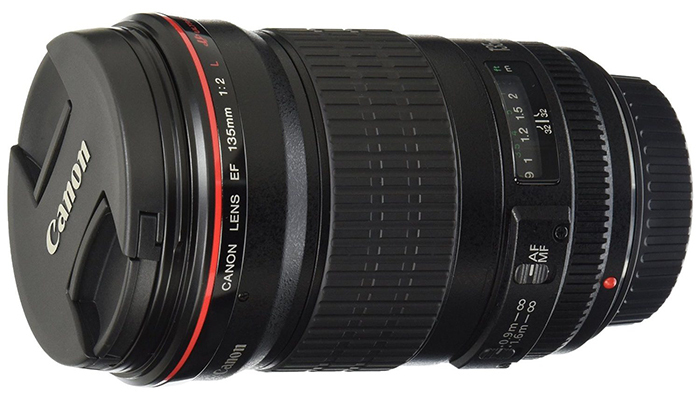 The Canon EF 135mm f/2L lens is now an oldie, but it’s still a goodie. The lens is still sharp and fast and allows lots of light in, ideally for indoor sports, low light conditions and portraits. It’s a prime lens that has been serving Canon uses for many years, so we’ll see if it still has what it takes. Being f/2 you have a wide opening up front with more glass than you would expect. The official specifications state the lens as having an f/2 aperture, fast, quiet autofocus, Super Spectra coating, L-series construction and optics, circular aperture for soft bokeh, integration with E-TTL II flash system, and a soft case and lens hood. It’s basically a prime lens that has a lot to offer. The aperture ranges from f/2 – f/32, very wide to as small as you can get with eight diaphragm blades. The glass is arranged in eight groups with 10 elements. There are two UD-glass elements to correct the secondary spectrum, basically giving better color and sharpness. Minimum focus is at 0.90m, with a 0.19× maximum magnification. The ultrasonic motor is the usual from Canon, giving smooth and quick operation. There is a focus limit switch, DOF scale, distance scale and focusing being done internally and the front element doesn’t rotate while focusing. The thread type is 72mm and all this weighs in at 750g (1.65 lb). Quite standard elements for an L Canon lens, but where this lens shines is in its sharpness. Having the advantage of being f/2, it’s pretty sharp at this level even in the corners but starts coming into its own at f/2.8. This is not so much a problem on crop sensors where corner sharpness is much better at f/2.8 and at f/4 is sharp throughout the image. You do start to see some vignetting when you’re using a full frame body at f/2, but just like with sharpness, stopping down eliminates this factor or you can just simply get rid of it in post-processing. The 135mm is also very good in the distortion stakes, especially as it is one of the go-to lenses for portraits. Having f/2 at your disposal can give you lots of headroom. The 8-blade aperture gives you a nice bokeh with round and smooth highlights in the background and helps to isolate your subject, especially indoors and for action shots. The minimum focus distance of .9m isn’t enough to make this into a macro lens, but on the other end of the scale, you can use extension tubes to get a bigger magnification with success. If you go down this route though you will have to expect a little chromatic aberration and barrel distortion. The lens is often cited as being great for indoor sports dues to the f/2 being able to bring in loads of light and the sharpness. In this respect in an environment where there are low light and fast movement, this lens allows a higher shutter speed to capture what is happening. One area this lens does excel in is its ultimate sharpness. Depending on your focus distance, you can post-edit however you want with the peace of mind that the overall image is sharp where you need it. In my opinion, it’s better to have a sharp lens than an artistically soft one. Headshots are also a forte of this lens and the arguably better quality of being a prime and on a full frame camera means you’re getting the best in image quality. Being around since almost the dawn of time, the Canon EF 135mm f/2L has quite a few other lenses to compete against. It’s always going to shine being a prime lens especially for portraits, but there are also some fantastic zoom lenses to contend with. The obvious one is the 70-200mm f/2.8L from Canon in all its variations. A great workhorse lens with fantastic optics, covering a very usable focal range. However, if you want to stick with the prime lens route, then there is also the Sigma 135mm f/1.8 DG HSM Art lens. A wider aperture at f/1.8 giving a 1/3-stop advantage, more aperture blades with nine, slightly better maximum magnification and AF fine tuning. However, the Canon lens is smaller and lighter, has a better AF system to talk to the camera body and in this case is cheaper than the Sigma. As with many things in life, being old doesn’t necessarily mean out of date. The Canon 135mm f/2L is still a contender, simply because it still excels as a great portrait lens and still delivers sharpness and clarity. Being a prime lens, its always going to provide great quality, but the lens is also up against other brands and zooms. As mentioned, the 70-200mm f/2.8 can obviously cover 135mm and it is a great lens in itself. Same with the Sigma, having great optics covering the same bases as the Canon. The deciding factor here is going to be your final application for this lens. The quality is undeniable, but to shell out money instead of putting into a more general zoom, you have to have a dedicated application. If you take loads of portraits, this lens makes perfect sense and it’s definitely not as heavy as the 70-200mm f/2.8. 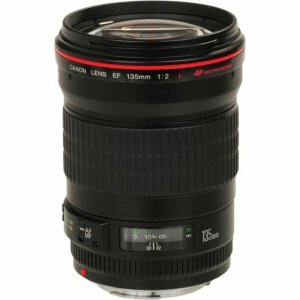 It also surprisingly comes in cheaper than the Sigma and with the peace of mind being a dedicated Canon lens, you’re probably going to go down this route. Canon’s forte in the camera world is definitely its lenses and the Canon 135mm f/2L is definitely a testament to this fact.